Village authority had good cooperation for preparation and coordinated to the new married couple group. New married couples attended the meeting and had interactively constructed discussion on the project carried out in their villages. Village authority assisted ADWLE team to encourage the new married couples to more understand the project and the benefits that they will gain from such project if they can engage. Participants learned new skills and methods on counselling for the victims including techniques of emotion of counsellors. 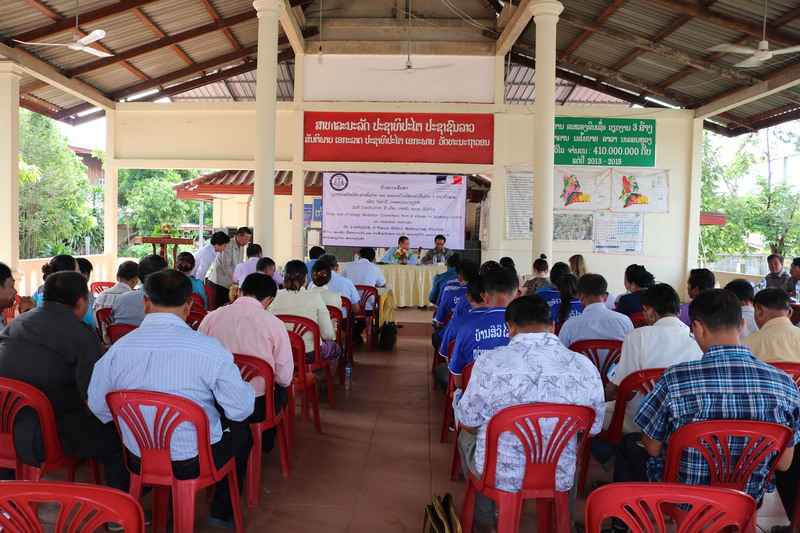 Exchanged lessons of paralegals workshop was set up on 26 July 2018 at the 19 km Restaurant, Xaythany district, Vientiane capital chaired by Bouavanh Chasoakao, Vice-Governor of Xaythany district who leads works of SubCAWC. There were 45 people(21 women) attended, and 16 paralegal out of which 10 were women. 1. What do you think about GBV manual of paralegal? What are useful? 2. What does paralegal means? => They replied that paralegal is a person to assist villagers and to give an advice to the victims. They will accompany the victims access to justice process. 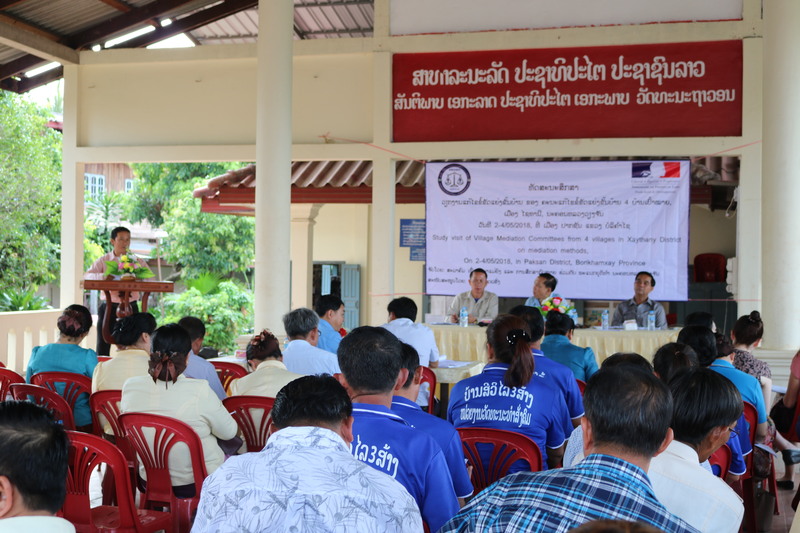 They will help the vulnerable people who do not know laws and accompany them to meet each concerned organizations. They will record and conclude information, keep confidential and send to Ministry of Justice. 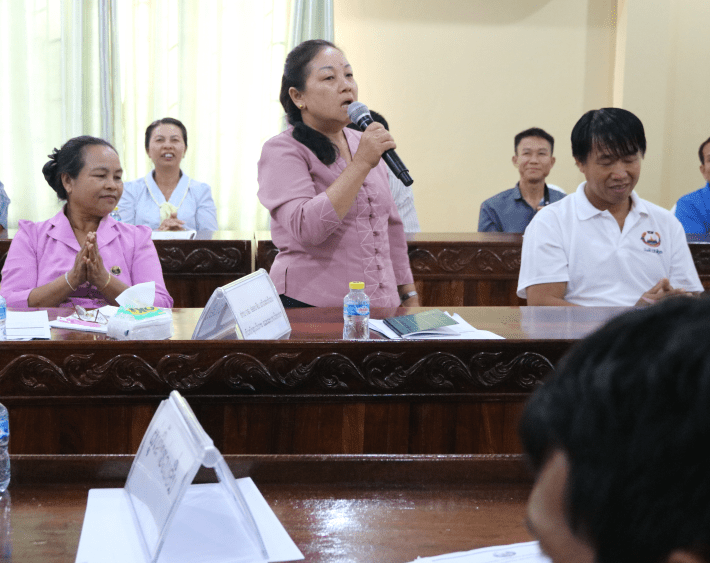 To be concluded that the paralegals are volunteers, who already received training on assistance skill and methods, working in their own villages. 3. Why paralegals are needed? => They replied that due to the villagers do not know laws. Due to the paralegal are used to familiar with villagers, talk truly, know very well the real village situation and occurred problems. – The workshop was conducted with good atmosphere, enjoyed and completed as defined objective. – All participants concentrated in exchanging some lessons and contributed substantive ideas to the workshop. 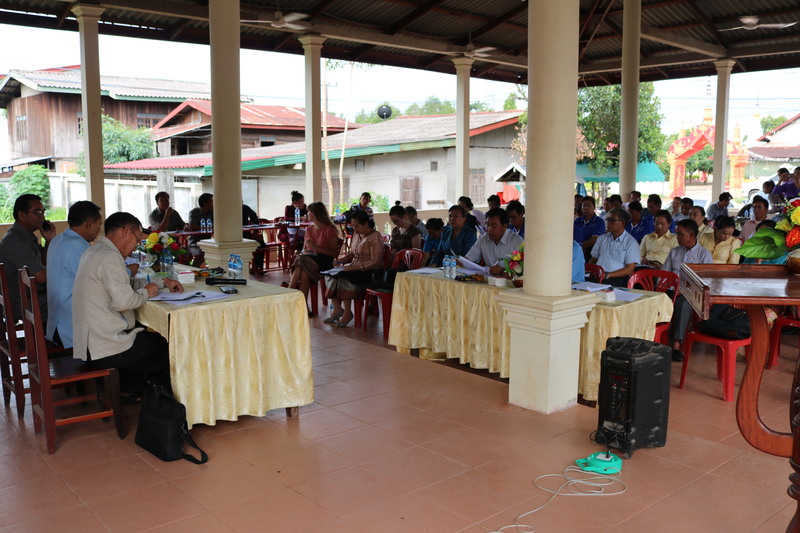 The meeting was organized and opened by chair Madame Inthana Bouphasavanh, director of ADWLE. There were 24 people out of which 16 were women attended. 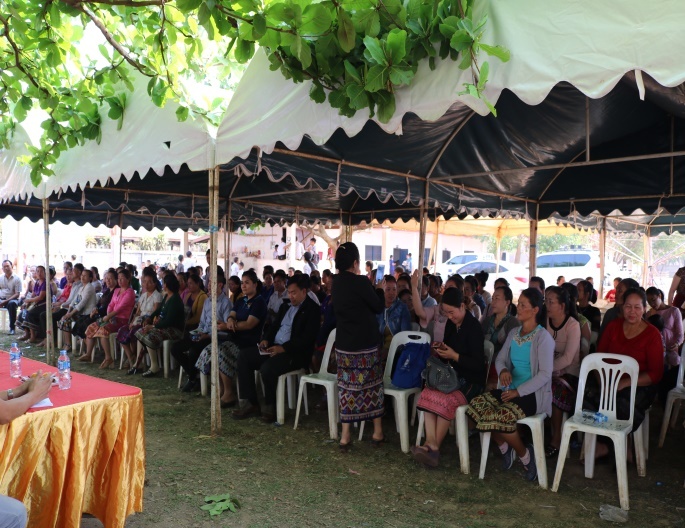 They came from Vientiane capital Judicial Department, Vientiane capital Lao Women Union, Xaythany district Lao Women Union, Xaythany Judicial office, Xaythany cabinet,Xaythany security,Helvetas,GIZ​, LDP, LCCO, DFCA, Faculty of law( National University of Laos), Faculty of Law ( Champasak University), ADWLE staff and Administrative Board. Question 1: what ADWLE focus on? Article 5: Gender equality and women empowerment in 15 target villages. 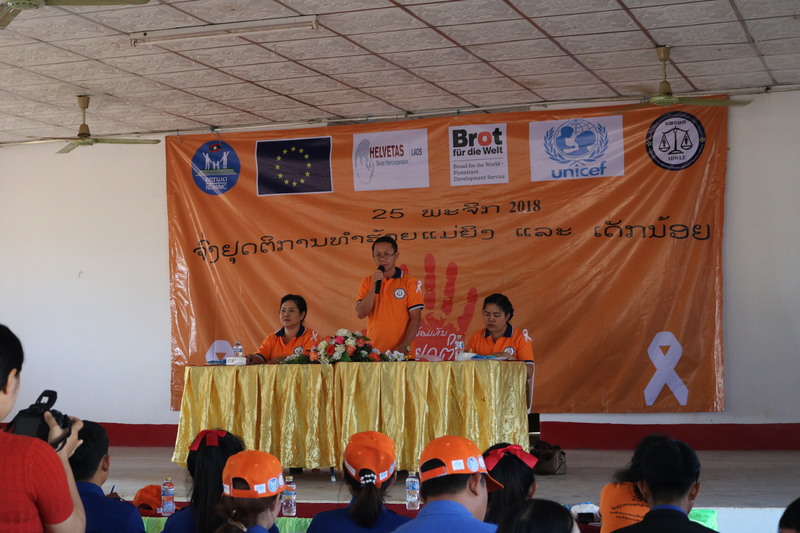 2) Knowledge, capacity of staff, law partners, legislations, gender and Gender-Based Violence. 3) Government sees effectively a significant cooperation with ADWLE. 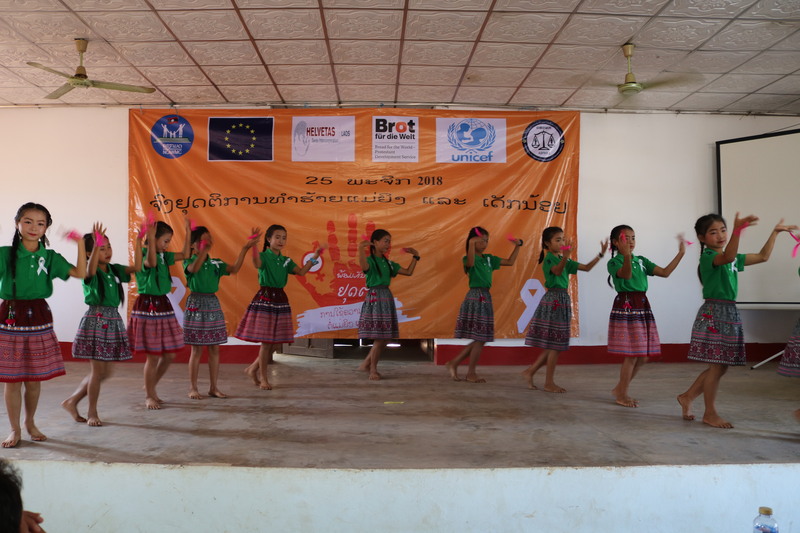 5) Several organizations supported funds to ADWLE for instance EU, Helvetas and Oxfam. 6) Access to many target groups: 15 villages, 2 FLP, 10 secondary schools. 7) Women access to equality and law by 50% and peace increased. 8) Men assist family chores increasingly. 1) Society knows and acknowledges ADWLE nationwide. 2) Staff has more professional knowledge. 3) Expand more target groups. 4) Build capacity for new generations to continue ADWLE’s vision. Question 3: What methods are recently ADWLE welcomed by Lao society and global? Why? 1) Should be acknowledge by society. 2) Should be acknowledge, reliable and trust by government and private. 3) ADWLE should have monitoring and inspection units: duties and other movement. 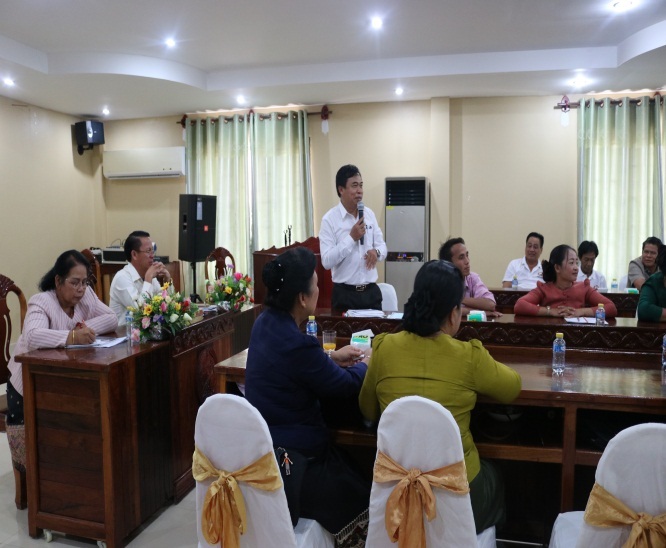 The meeting focus on main partners who have joined together implementation of the activities with ADWLE to understand the strategic plan in order to reach the designed strategic plan. The meeting also emphasized on participatory approach on sharing ideas. 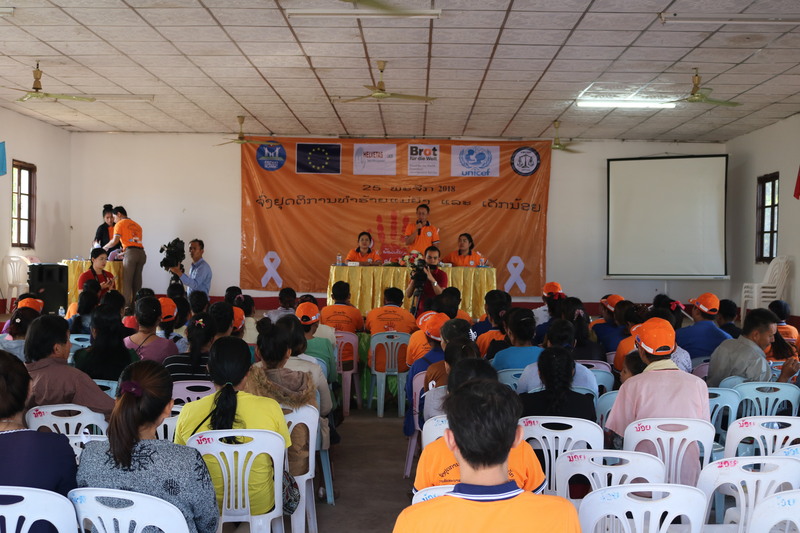 Celebration of “ Memorial of International End Violence Against Women And Children Day 25 November ” at Donbang Village of Xaythany District in Vientiane Capital Lao PDR on 25 November 2018. 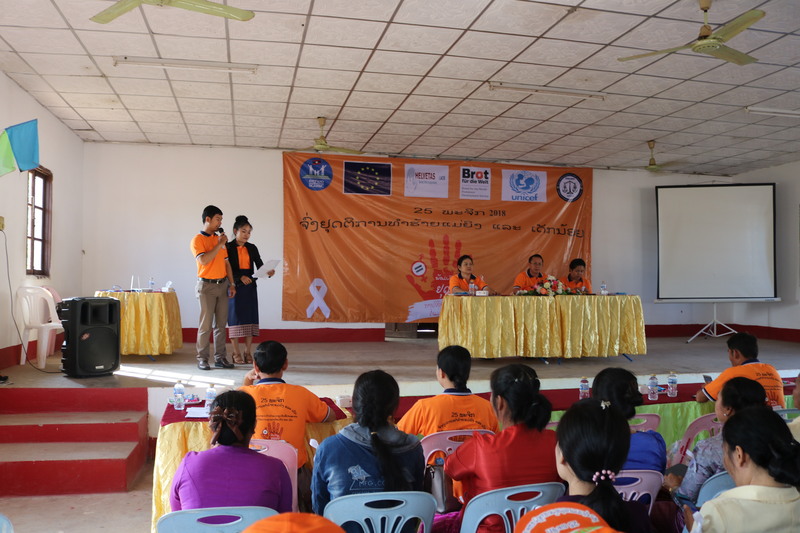 On 7 March 2018, ADWLE joined with SubCAW and Mother and Child of Vientiane capital to organize the International Women’s Day at Nongsonghong village, Xaythany district, Vientiane capital. 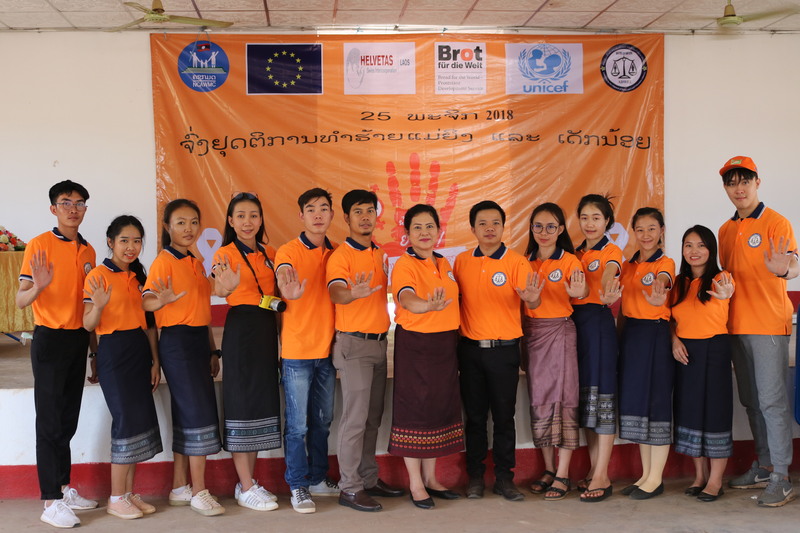 Participants were from representatives from Vientiane capital, Xaythany district, ADWLE, Care international, Health Promotion Association, LDP and 15 target villages. Total was 386 villagers, out of which 281 were women, 173 were children ( 104 female child). 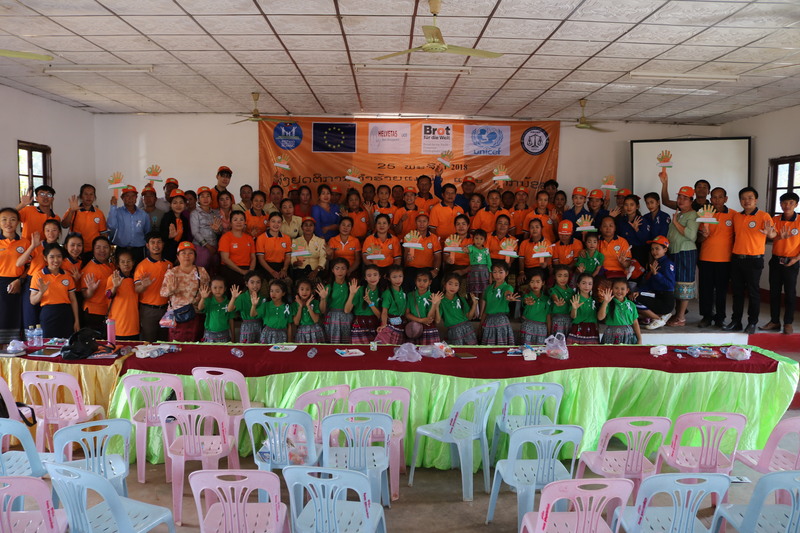 Cooperation was quite successful with the village authority of Nongsonghong village as a host, leading us to reach the goal of the celebration. 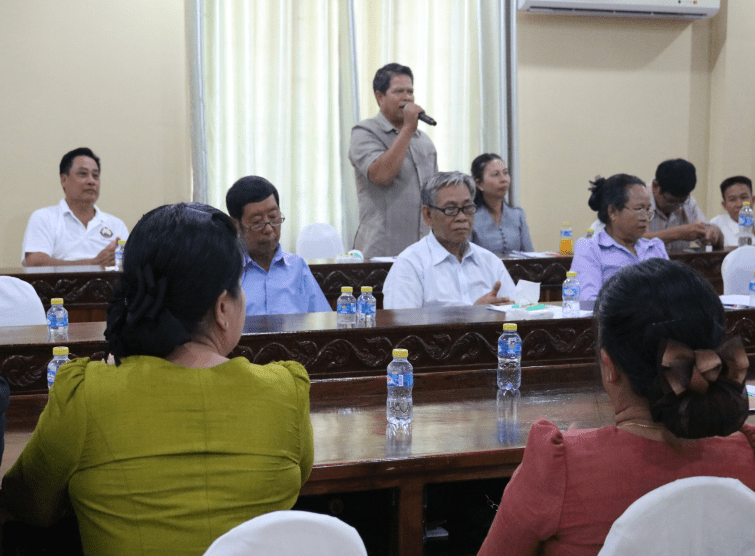 Villagers from the target villages recognized the location, roles and procedures of LACVWC of Nongsonghong village increasingly. Many audience members increasingly knew paralegal roles. 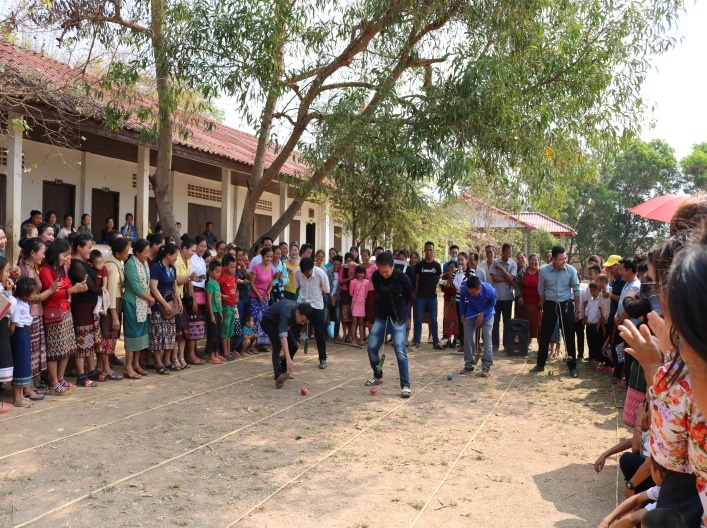 Some villagers who played some games together with their family for example husband, wife and children had fun and gained a better understanding each other. 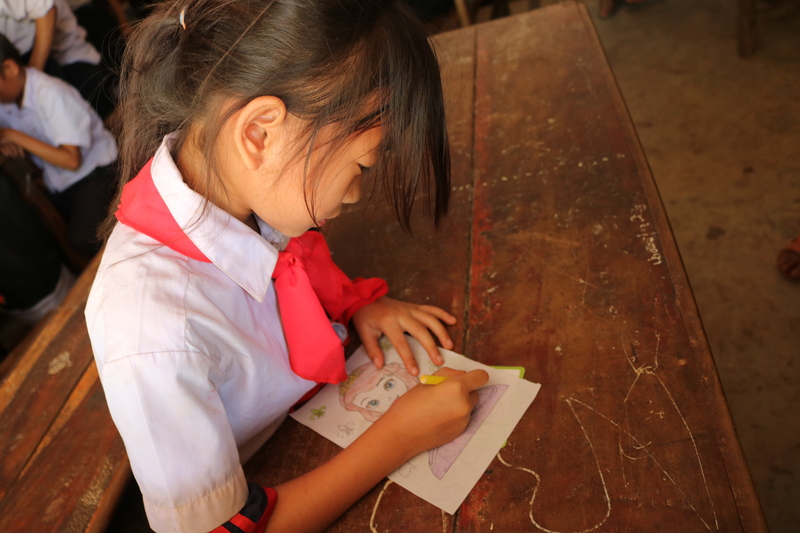 Many boys and girls enjoyed colouring in pictures. Some women and men had a free check up from the Health Promotion Association which is partner of ADWLE. There were 81 villagers, out of which 17 were men. 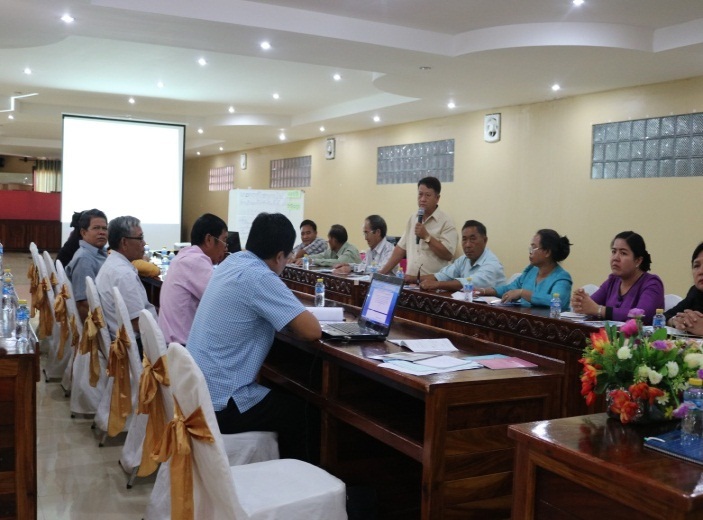 To discuss village mediation work of the four target villages. 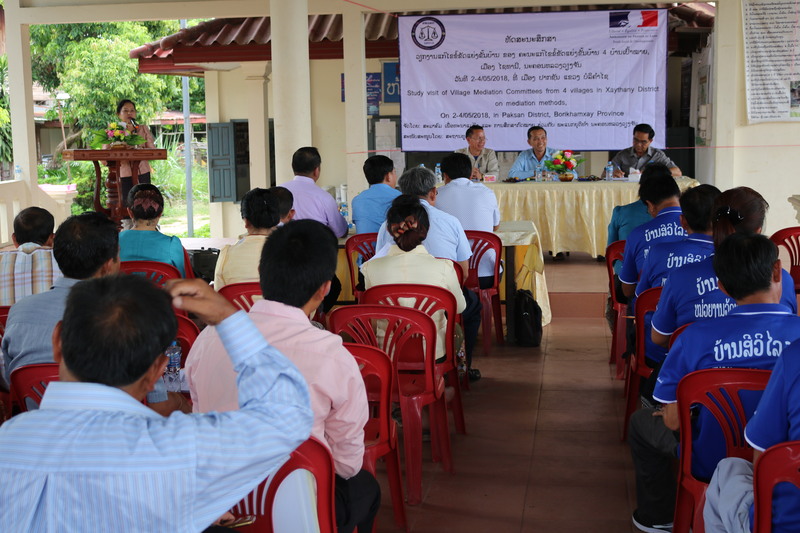 To exchange lessons on addressing village mediation together with Xaythany district and Vientiane capital Judicial Department. Place: at Vangvieng, Vientiane province. number and nature of participants (students, officials from government, etc. ): 20 VMC Four villages: Nasala, Dongbang, ThadindengTai and ThadindengNeua, 4 ADWLE, 5 SubCAW, 4 Xaythany district, total 33 including 11 women. 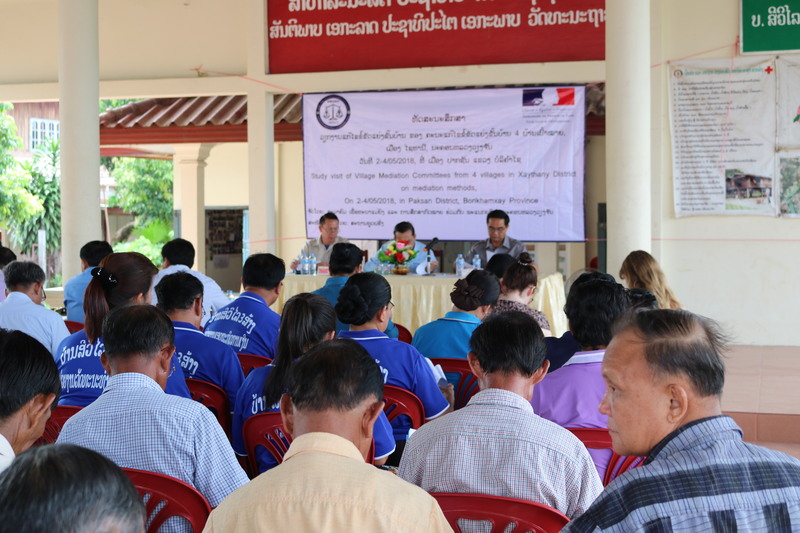 Outcomes: Almost all participants were interested the contents of the meeting. 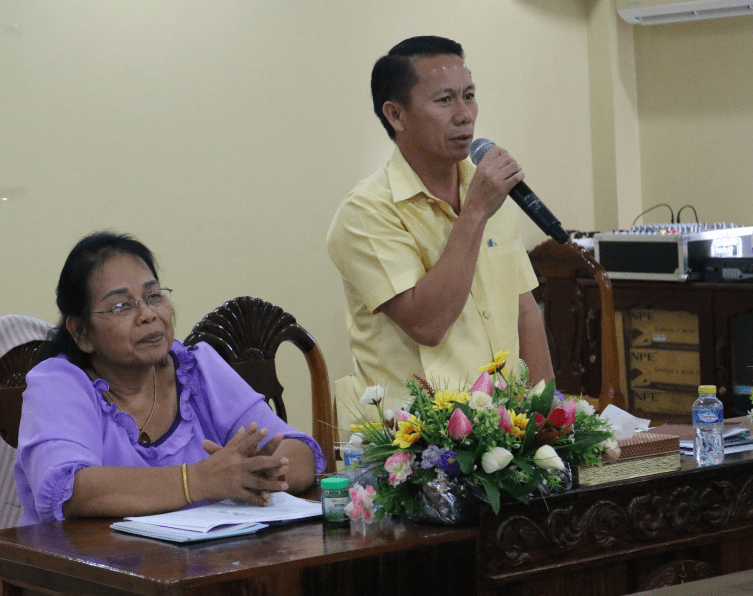 They frankly shared experiences by raising examples of problems to be discussed with the Vientiane Capital Judicial Department and Xaythany District Judicial Office. 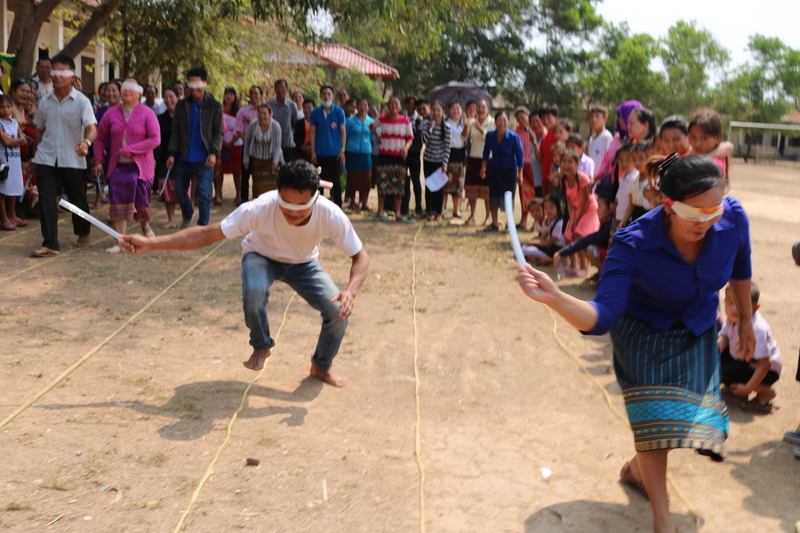 They Shared lessons on activity plans of the four target villages. However, they had not learned primary law. They proposed to ADWLE to look for funds to continue such a crucial project. 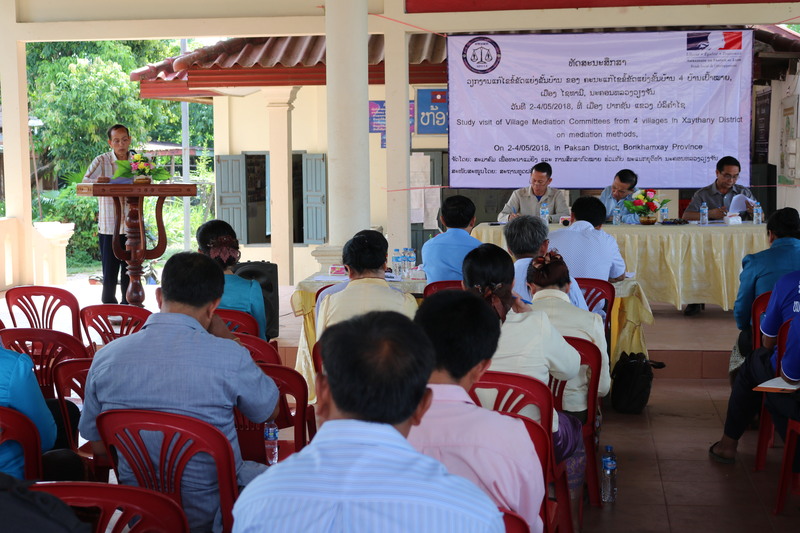 Increased knowledge on mediation in order to assist their own village to govern with peace and along with domestic law. 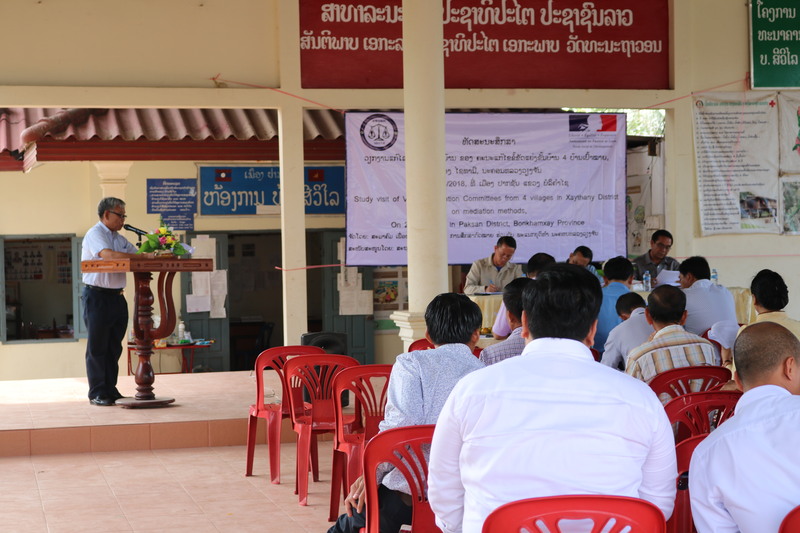 Was interactive and participatory so that they exchanged judicial knowledge with other VMC members in order to transfer it to their villagers. 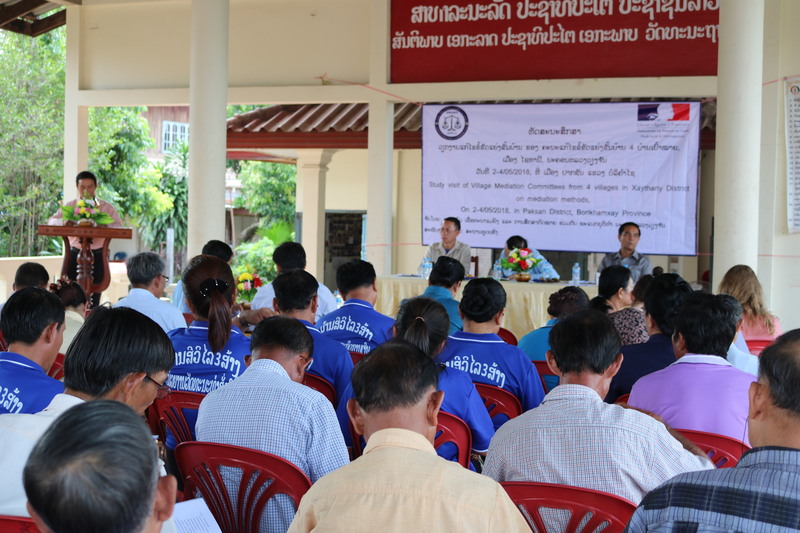 Know their roles and responsibility and will be able to disseminate law to their villagers. 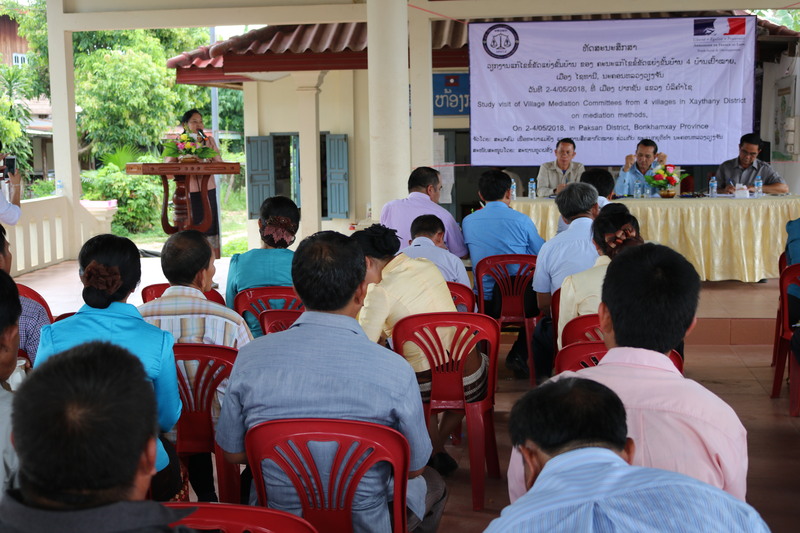 To understand roles of VMC in handling conflict issues in the village. place: Paksan district, Bolikhamsay province. 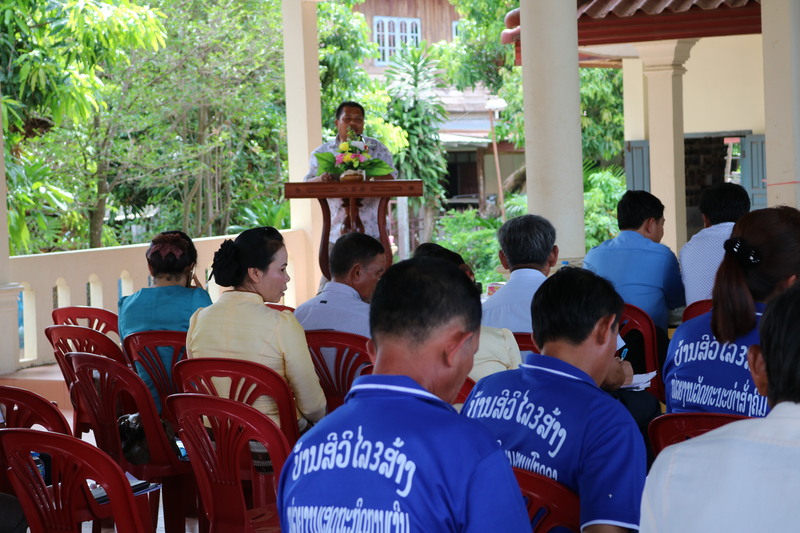 At the Sivilay village meeting, Mr. Monh, Chair person, emphasized that there was an agreement of the Prime Minister on the establishment of village mediation committees and and an agreement of the Minister of Justice on the establishment and implementation of village mediation committees from provincial, district and village levels announced and acts. 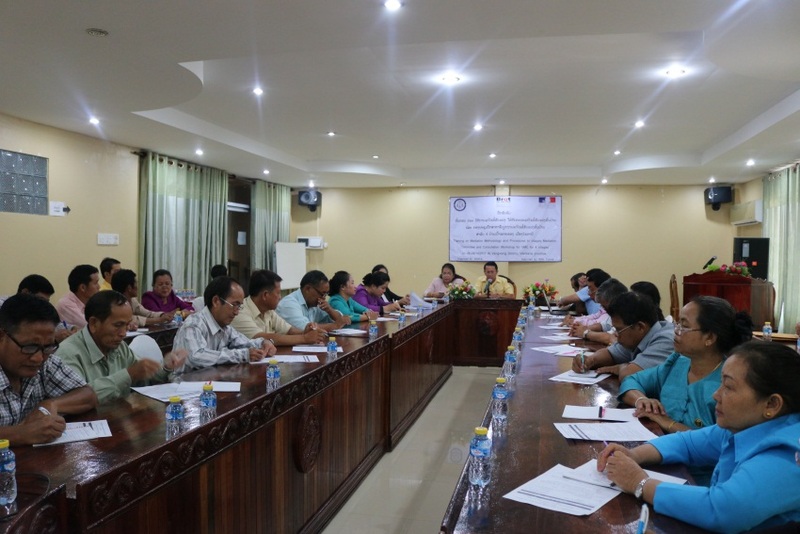 Accordingly, this study visit was very significant because it contributes to creating a good relationship among ADWLE , Vientiane Capital Judicial Department, Xaythany district, four villages of Xaythany district, Vientiane Capital and four villages of Paksan district, Bolikhamsay province. All participants received good lessons and real working experiences from each others. Before this project stepped in there were so many domestic violence cases, notably aldutery and heritage division which were solved by customary law and appropriate means. 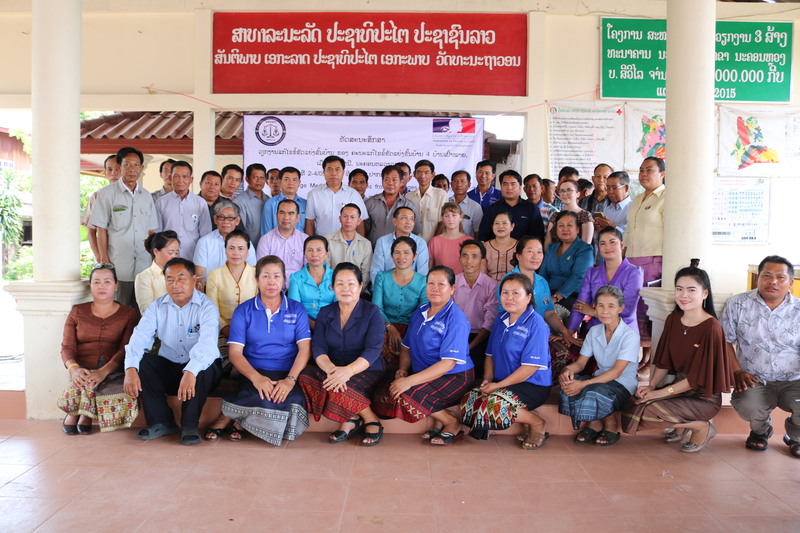 After the project started, they received training on laws related to women, village mediation methodology and procedures. They applied obtained lessons as a potential reference. They could educate both parties in the conflict and negotiated with them to understand each other and reach concensus. They felt confident to do their functions as good mediators because they learned law, know methods and good procedures of mediation. Mr. Khamkeung Keovivong, Chief of Sivilay village, Paksan district. This village used customary law and some domestic laws to handle and negotiate issues. If they did not reach a consensus then the file letter was sent to the district. There were several problems, for instance dept, figthing and divorce. All were sent to court. The VMC lacked knowledge and expereice and they did not know the methodology and precedures to do effective mediation.